At least three people were injured on Thursday in an explosion at a university in Lyon, French authorities said. 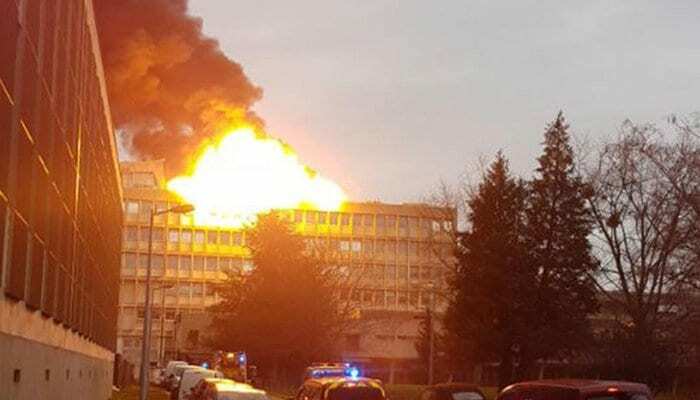 The strong explosion and fire hit a science building at the University of Lyon which was said to be caused by construction work. The town of Villeurbanne, the Lyon suburb where the university is located, tweeted that the area has been evacuated after the blast. It said the explosion hit the roof of the building. An official with the Lyon region emergency service said firefighters are on the scene and have evacuated the site. on the ground reports suggest work was being done on the roof and that a gas bottle exploded, starting the blaze. The explosion hit days after a blast apparently caused by a gas leak hit a Paris bakery, killing four people and injuring several.